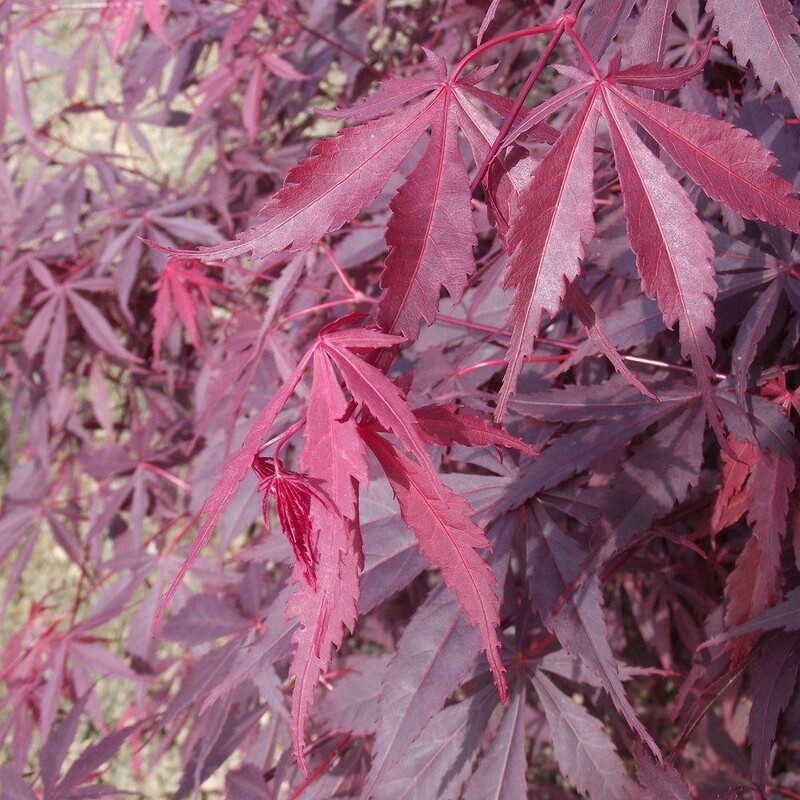 Acer palmatum Suminagashi has the most amazing dark purple foliage each spring, being one of the darkest coloured Japanese maples in cultivation. 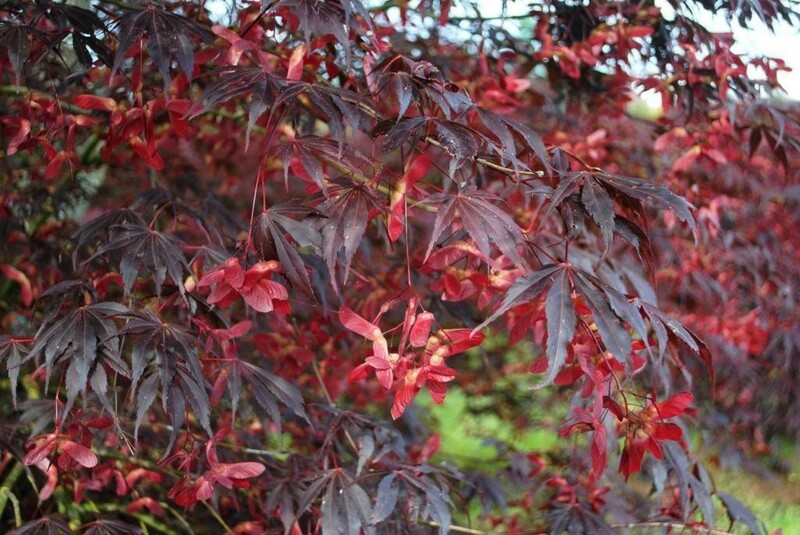 The leaves fade to take on bronze-green tones towards the end of summer and then transition to a brilliant crimson in Autumn. 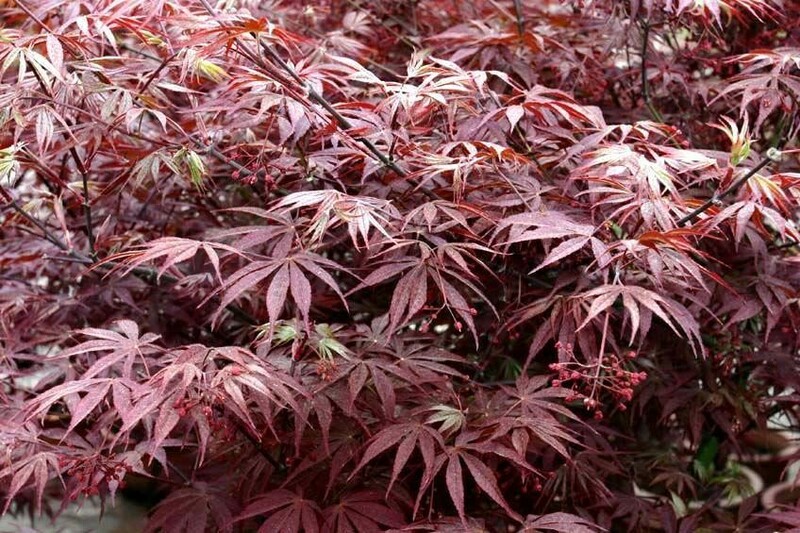 Suminagashi is a spectacular small tree for any garden, reaching a height of just two and a half metres at maturity with a canopy of around one and a half metres. It i of course easy to keep in smaller with pruning if that's too large for you. It can even be grown as a statement plant in a large planter where it can be enjoyed around the garden should you choose to move it around to different positons. Supplied at approx 1.2-1.5 metres tall.